I felt a bit sorry for myself in Deauville this year. I can’t get to as many tournaments as most poker pros, and I never have the freedom of a full-time pro to sort of… you know… prepare. That great player Bertrand “ElkY” Grospellier has (or certainly used to have) a personal trainer / assistant who both handled all his admin - the travel arrangements, the room booking, the tournament schedule - and made sure that ElkY was eating and sleeping well for the days before the events. That alone can’t explain ElkY’s astonishing series of results: the guy is a sort of genius, who came to poker from the world of computer games and brought with him a computer-fast mathematical brain and excellent game analysis. Nevertheless, it can’t hurt. Meanwhile, I’m usually squeezing tournaments in between other commitments, finishing articles in the evenings, short on sleep and long on inadvisable snacks. Not that I’m complaining: there are other, huge psychological benefits to having another job (or several) aside from poker, in terms of security, guaranteed income and mental stimulation. But sometimes, I can’t help feeling jealous of others with nothing but poker to think about. Deauville was a clear run. I had one Observer column to write, but the playing days were only midday til 9pm so there was time for that - and it’s a train journey away, rather than a flight, so there was no valium recovery to worry about. I felt pretty positive as I sat down on Day 1, and had a great first couple of levels, getting my 30k opening stack up to 55k by the first break. But somehow, as level 3 kicked in, I suddenly and immediately developed a serious cold. Like, a ridiculous cold. Running eyes, sudden temperature change, non-stop sneezing. Luckily, the ladies’ room was able to provide a seemingly endless supply of scratchy French loo paper: not only could I blow my nose at will, I could bring some home to sand the kitchen wall. I laughed when I saw a photo of myself on Facebook. It was taken by Hugues Fournaise, who’s always taken lovely pictures of me at tournaments (there’s one on the columns page of this site at the moment). He’s a very flattering photographer. In Deauville, this was the kindest he could do: I’d title it Portrait Of Woman With Cold. My eyes seem to have gone smaller than currants on a snowman. Anyway, my hot aching brain and I were out of the tournament by the end of the day. What could be the explanation for this sudden onset of illness? Still, what the hell. It was lovely to see that beautiful town in the snow. I curled up to nurse my cold in the room, with valiant Kirsty Thompson from PokerStars who braved the health risk to come round for room service and a terrible Ashton Kutcher “comedy” on the pay-per-view TV. No Strings Attached, it’s called. For the British and American market anyway. It has a different title for Europe, as we discovered with some embarrassment when the TV wouldn’t work and the maintenance man had to come and fix it. Interestingly, this isn’t the most embarrassing French translation incident I’ve experienced in the last fortnight. The week before, I was in Paris for the European Poker Awards: a very generous evening given by Bruno Fitoussi of the Aviation Club de France; and hurray for Jesse May winning the Lifetime Achievement Award, both because it’s massively well deserved and because this award is named in honour of Jesse’s great friend Rob Gardner, the original producer of Late Night Poker, who died a few years ago at the terribly young age of 36. I know Rob would have loved to see Jesse win this award and I was very moved to be there and witness it. Anyway, I arrived at the awards with Joe and Barny from The Hendon Mob, who were given seating cards for a different table to mine. Being a shy sort at parties, I asked quietly at the desk if I could move to their table rather than one with strangers. “Ce serait très gentil”, I murmured, “parce que j’ai peur de m’assoir entre des étrangers”. Anyway, Deauville. I made Day 2 of the High Roller event, but got knocked out when I decided that 48,000 in chips with blinds at 1,000-2,000 with a 300 ante was too few chips to pass Ad Qd after a raise, so I “four-bet-shoved” and my opponent called with AK. As well he might (although, with my table image, he might also have not.) I’m sure I’ll go again next year, and hope to be healthier. But I won’t forget how beautiful it looked in the sneau. ... and for anyone who thinks “Boy, that hotel must have been designed by a madman”: huh-uh. The whole town looks like that. This is the view in the other direction. That’s my kind of town planner. Well, should you ever look for a personal assistant, I’d always have extra soft tissues with me for cases like this, plus bags of salvia throat lozenges. What a truly delightful blog, and what a strange but rather charming place Deauville seems. Thank you so much for taking the trouble to write this and share your photos. For someone with a cold you look so happy in that picture. What a lovely smile, surely capable of melting the most icy of hearts. Presumably you were still doing quite well when that photo was taken, you must have been unbeatable. Was I the only one, upon clicking the “the view in the other direction” link, expecting a photo of a Nandos? Wasn’t Deauville one of those old resorts where the great and good used to go in a more gentle time to avoid the worst ravages of English winter? Ah the glamour and the grace. Do you have any pictures of yourself in an elegant white dress trimmed with ribbons and perhaps accessorised with a voluminous silk parasol as you promenade majestically past those Frenchies like an English rose? Er no, ok then. Bad luck on running into AK with your AQ (and also on your stealth cold). I wish you better luck and better health for next time. I’m still smiling at “sneau”. I sort of agree with John. Hugues Fournaise has taken a really nice picture of you. True, there’s a lack of glamour and sexiness, and it’s certainly not the stern, quirky and often stunning Victoria we see on Only Connect. More “aw” than “phwoar”, you look rather cuddly, friendly, and thoroughly lovable. Of course, how that works at the poker table, I’ve no idea. Ah, scratchy French loo paper, I remember that stuff, not something I would bring back as a souvenir. “a ridiculous cold. Running eyes, ...........” whatever next? When you develop “all-seeing knees”, that’s when you know that things are looking up. If your embarrassing French translation incident had happened at Deauville instead would that have been a feau pas? You could have been the teaust of the town. “scratchy French loo paper”, I know that stuff too. Hardly the luxury that the ladies expect and generally deserve, but an apology for a good hard paper for the real man. Sadly, in the UK, proper hard paper has gone the way of Woolworths and MFI and I am forced to cut up the suitable bits of the Daily Mail. At least it’s one way to recycle, I suppose. Ha ha! The old inconnus blunder! I’ve done exactly the same, V! For some reason,us brits latch onto étrangers to mean strangers and afterwards normally get cursed at ! Wait a meaument or seau, we all should kneau, that it wasn’t the ceauld, or the winds that bleau. Neau, Deauville was a heaume for the peauker preau. Chip stacks greau or get leau, fortunes ebb and they fleau, be they timid or beauld, as they call, raise or feauld. ..and seau this blog gives birth to the peau-wet-tree of Deauville, at heaume here beleau where it ha-puns to greau, long to rain eauver us after the sneau. Kneau your baleauney! Folleau the yelleau brick reaud, Doreauthy! No red-hot poker in snea-cold Doughville? Too bad Edward II’s no longer around. I also agree with John—the photo is lovely, and so is the blog. I would not have expected a champion poker players to write so well and so effortlessly. But then Kasparov writes very well too. Hi Fiona. The hotel’s called the Normandy Barriere. ’ I’m a reformed woman ’ she thought as she left that smokey room for the last time. 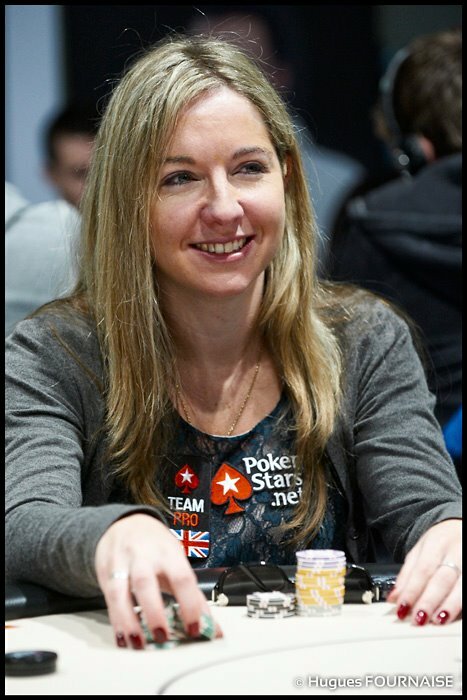 So Victoria has quit writing her poker column. No doubt the game too will be put to bed soon. A fallen woman no more! I can’t find an appropriate place to say this so thought I’d just put it on your most recent blog… love it when you’re angry or to put it another way appreciated and admired every word of Observer column today. Can’t they give you two columns - one funny, one angry (righteous anger obviously with humour laced in to deliver the point) ? PPPPS written a song called Gambling Man which it would be nice for you to hear (in my opinion)...actually now guilty of IFI (internet false intimacy), but I’ll post on YouTube and send a link..
victoria, problem, the crap printed in OK! magazine makes your blood boil. solution, don’t read it. From the photographs, be glad you didn’t wake up and find yourself in Groundhog Day! reading your book an’ loving it but you class yourself as a ‘recreational’ player in it…wouldn’t it be more appropriate to say that you’re a ‘serious’ player, you’re definitely in it more than a recreational player. I agree you’re not a pro by definition but you do play a lot and move in the right circles to be ‘serious’. I mean, Journalism, TV shows etc. Can I also say that when I found this site I was amazed by your stunningly good looks. Your book gives the impression of a fat, greasy haired brunette, spotty geek who fell into poker because of being a misfit - sheesh - you could be a model or anything… amazed!!! I play on Pokerstars too but I’m certainly not famous but I want a baseball cap like yours…do they sell them? BTW - I love snow…the pics are great. Great hotel. We were fortunate enough to be put up there for a night by my parents a couple of years ago when we were passing through on the way to Brittany.